UPDATE: HTC has confirmed to me that VoLTE and Wi-Fi Calling on the HTC U Ultra will work on T-Mobile. HTC’s newest hero Android phone is here. Another major feature of the U Ultra is its secondary display. This 2.05-inch 160×1040 screen sits above the U Ultra’s main 5.7-inch 2560×1440 display and can offer quick access to things like your top contacts, app shortcuts, notifications, and more. Shifting around to the back of the phone, the HTC U Ultra has a 12-megapixel rear camera that HTC says “builds on and improves” the camera found in the HTC 10. Included with the U Ultra’s camera with phase detection autofocus, laser autofocus, optical image stabilization, a sapphire lens, and a dual tone LED flash. There’s also a 16-megapixel camera on the front of the U Ultra. HTC is also touting the U Ultra’s USonic feature, which the company says “analyzes your inner ears with a sonic pulse, and then adapts to you.” HTC is throwing in a pair of USB-Type C U Sonic earphones with the purchase of the U Ultra. Another highlight feature of the HTC U Ultra is Sense Companion. This AI assistant analyzes your usage patterns and makes recommendations based on them. For example, it might tell you to dress warmly and leave early for work if there’s snow, or recommend a restaurant when you’re away on vacation. 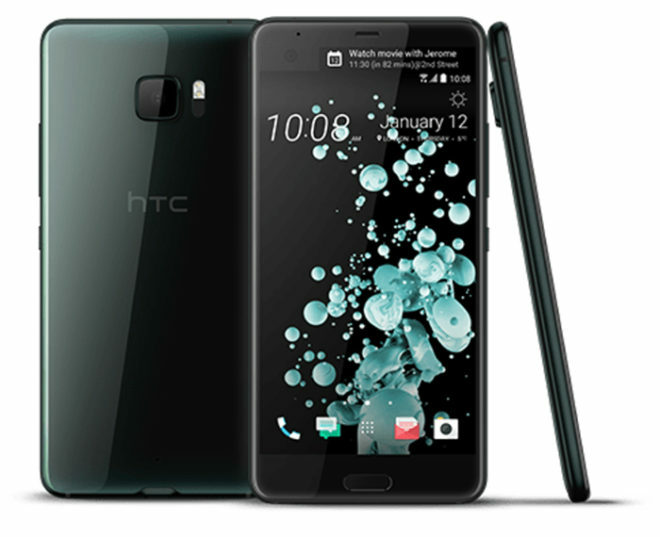 Rounding out the spec list of the HTC U Ultra is Android 7.0, a quad-core Snapdragon 821 processor, 4GB of RAM, 64GB of built-in storage, a fingerprint reader, and a microSD slot for adding more storage. There’s also a 3000mAh battery and Quick Charge 3.0 support. HTC is selling the U Ultra unlocked from its own website, and HTC says that the U Ultra includes GSM 850/900/1800/1900MHz, 3G UMTS AWS/850/900/1900/2100, and 4G LTE bands 1/2/3/4/5/7/8/12/17/20/28/38/39/40/41 along with 2CA and 3CA. HTC also includes VoLTE and Wi-Fi Calling in the U Ultra’s spec list, and while HTC hasn’t yet responded to my question specifically about T-Mobile, HTC has supported those features on T-Mo with past unlocked phones. 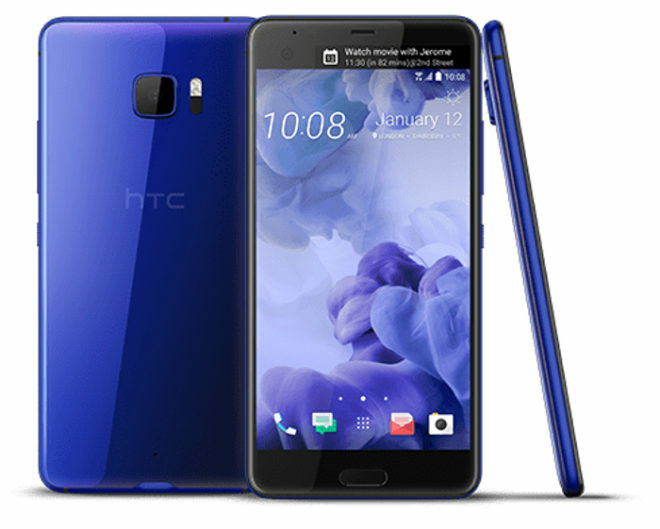 The unlocked HTC U Ultra is now available for pre-order from HTC.com for $749. It’ll begin shipping in mid-March. 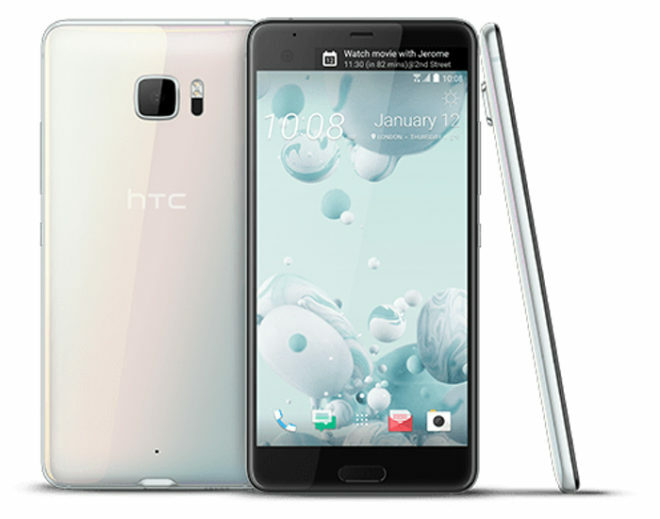 HTC’s new U Ultra is an attractive device, swapping out the metal body of the HTC 10 for a glossy glass shell. It’s got a pretty respectable feature set, too, and overall this package should be worth a look for anyone that’s been waiting for a new high-end phone from HTC. The one downside is that there’s no word about any US carrier launches, so if you do want the U Ultra, you may have to live the unlocked lifestyle. It’s an LG V20 / Samsung hybrid? Not enough to get me to choose this over the V20. LG for the win this time. $749 is a bit steep for a HTC phone to price itself along side with Apple and Samsung. I think HTC should of stayed around the $600-$650 area to steal some of the competition customers. I’m still on the Note 5 and it’s gonna take a lot to get me away from a Samsung phone since Samsung Pay has been a factor in my life now. Alex PLEASE post here in the comments if and when HTC responds to your question. T-Mobile REQUIRES certification in order for unlocked phones to use VoLTE/HD Voice & Wi-Fi Calling on its network, and there’s been no confirmation of this as of yet. The unlocked HTC 10 was of course certified, but I wanna know on the U Ultra. No headphone jack and the one that ones they provide only work with this phone even though it uses the USB-C port? This looks like Samsung and LG had a baby. With the secondary screen of the LG V20 and the Home Button being an exact copy of the galaxy series, I am a bit appalled from an innovative perspective. HTC just took pieces of two competing phones and put them together. Do they even have professional product designers? The specs are really good but they could have done something far more attractive in design than thing LG/Samsung Hybrid. The specifications are great but I’m disappointed with the overall design. 2 out of 5 stars for me. It’s a great design but yes very similar to the galaxy line. Have high hopes for this device because I really love sense. My galaxy s7 is sufficient for now though I’ll wait for a price drop. Damn, I wish I had that on my V20. 12mp on back, 16mp on front????? Pass. 12mp cameras are more than acceptable for flagships. Pixels aren’t everything, give it a shot. Just get the M9, it had 20MP. Have you thought or looked into the projector? i have purchased the projector and i love it! i would say the only caveats are battery life . but it’s great we use it in our bedroom all the time and love it! Anyone who buys this is getting ripped off. The Snapdragon 821 was a very poor choice with the 835 around the corner. Too bad, HTC might have sold me on it if they used the 835. Another fail. Keeping my 10. And this is why HTC is constantly failing as a phone manufacturer. If this were released at $499-550 maybe they would sell a few. But you can get a one plus 3(the newer model) for under $500 with better specs. Why wouldn’t they use the 835 processor? And the sonic earphones will be a gimmick just like the LG “friends modules”. Looks like I will wait for the next S8 or the note 8 when it comes out. HTC used to be on the forefront of innovation for their phones but ever since they left their boom speaker days they have gone down hill. I’m sure Huawei will buy them out soon enough. The 835 is easy to answer: it’s not available yet. The first dies off Samsung’s line will probably go towards Samsung’s own devices starting with the S8 (prediction) until they get yields stable, and THEN everyone else will get them! You’re right on the 1+3, though. HTC still thinks they’re a premium brand and the reality checks (that is to say, lack of big cheques) are only now starting to sink in (see the stories about them reducing the number of new models this year). IMO they’re are only two companies that can sell a lot phones at a premium price Apple & Samsung. HTC was a major player before 2010 but times have change. HTC can fill a void with a flagship phone and undercut Samsung and Apple with a price of $400-$600 range. The CEO and shareholders at HTC need to wake up. Right on. I bought the Mate 9 and I am simply amazed. I’m getting like 7 hrs battery life. This phone simply has no cons. Maaaaybe I wish it was water resistant but that’s not picking. I DEFINITELY RECOMMEND THIS PHONE. The HTC marketing team must be living under a rock all these years. $749…Seriously??? We are talking Note pricing without Note features and brand recognition. Where is the AMOLED screen? Where are the front facing stereo speakers (which, BTW, are HTC’s trademarks)? Snapdragon 821 and a puny 3000mAh battery??? Also, correct me if I’m wrong, but this phone isn’t even compatible with Verizon and Sprint, right? 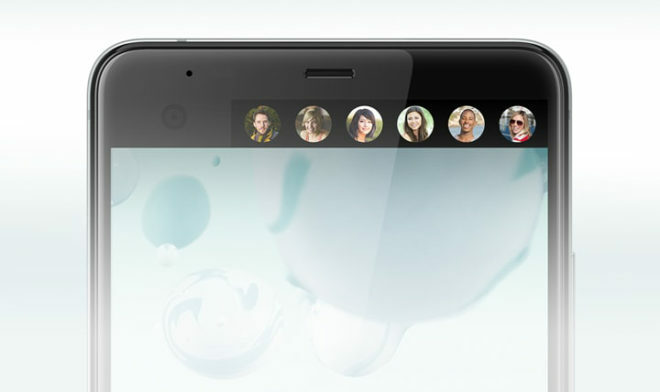 Get real, HTC !! Unfortunately the market continues and continues to send these manufacturers the message that $500-$800 is “acceptable” in the U.S., when the ZTE Axon 7 sells for $400 has 64GB’s of internal memory, stereo speakers and is sold in the U.S. at Best Buy. Does this thing have the physical button? Copy Samsung? Is it AMOLED screen? This looka like a Note 7 with an LG V20 ticker at the top. Shame on HTC for not being innovative. If you can’t beat ’em, copy off them! Too bad they didn’t build a Note pen to compete with the Note. They lost a great opportunity, with the Galaxy Note being out of the game they wasted a great opportunity! Also, not digging the no headphone jack thing. I am NOT wasting my money on no phone with no headphone jack, no replaceable battery and no expandable memory PERIOD! The S-Pen has so many patents that it would be impossible to copy and while it doesn’t have a headphone jack or removable battery, it at least has 64GB of internal storage and microSD expansion. I won’t buy this phone though. They should have held off for the SD 835. Looks like I’m keeping my HTC 10 for awhile longer. So does that only leave LGs? I smell an patent infringement from LG for that 2nd screen.